The Level 4 Diploma in Wine and Spirits, the flagship qualification of the UK-based Wine & Spirit Education Trust (WSET), is to launch in South Africa in May 2014 as an online distance learning programme. The Wine & Spirit Education Trust (WSET) is the largest global provider of wines & spirits qualifications. Currently available in 60 countries and in 17 languages and had over 43,000 people sit and exam last year alone. WSET has four levels of wine courses, plus two stand-alone spirits courses, most available either as Distance Learning or as classroom courses. Unlike other educational systems, you do not necessarily need to do all the levels in order. 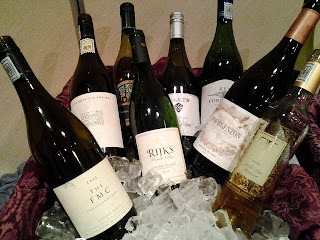 South African Chenin Blanc impressed at the annual Wine Bloggers Conference 2013, which was held in Penticton, British Columbia and attracted some 300 influencers from across the social media spectrum in the US and Canada.